Like new home in the sought after Granville community. This nicely upgraded home is set on a premium over-sized lot at the end of a coveted cul-de-sac and features a spacious 2.5-car garage. The popular Universal Homes 602 floor plan offers a very efficient 1,471 sqft. The bright kitchen features quartz counter tops, a walk in pantry, undermounted stainless steel sink, bar, gas range, and a Whirlpool French door stainless refrigerator. The master suite is appealing with dual sinks, a walk-in shower, and a roomy walk-in closet. 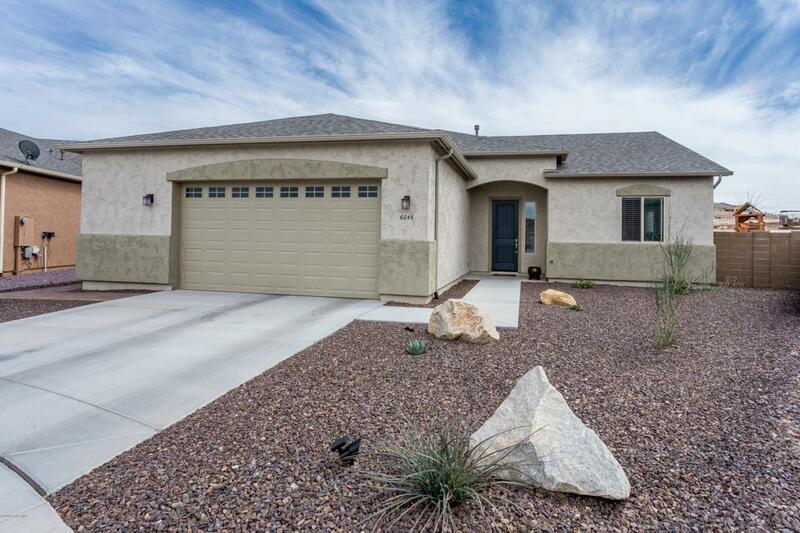 Lovely upgraded tile and carpet flooring, two-tone paint, window treatments, and ceiling fans throughout. The large low maintenance backyard offers a park-like atmosphere perfect for kids, pets, or gardening. CONTINUE:Enjoy sunset views over Glassford Hill from the covered patio with a pavered extension and easy care artificial grass. Quality construction is found throughout, with 2x6 exterior framing, 10-foot ceilings and 8-foot doors. With Granville's unrivaled community amenities and highly convenient location, make this move-in ready home yours today.